This fighter script can be started anywhere, can fight any monster, drink any potion and eat any food. Monsters: The monster settings consist of two lists, the left one is the loaded monsters and the right one is the monsters you would like to be attacking. If you click on an item from the left list it will move to the right list. 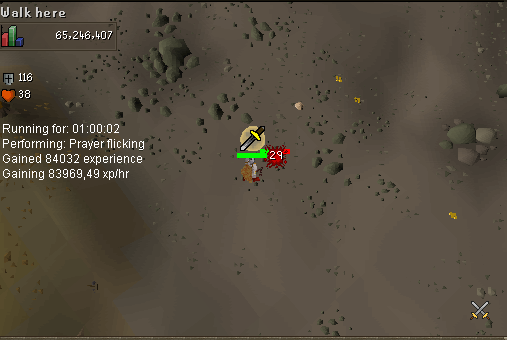 Prayer flick: This setting abuses the 1-tick flicking mechanic that is present in Runescape. Make sure you have quick prayers setup before you start. Will 1-tick flick when attacking monsters. 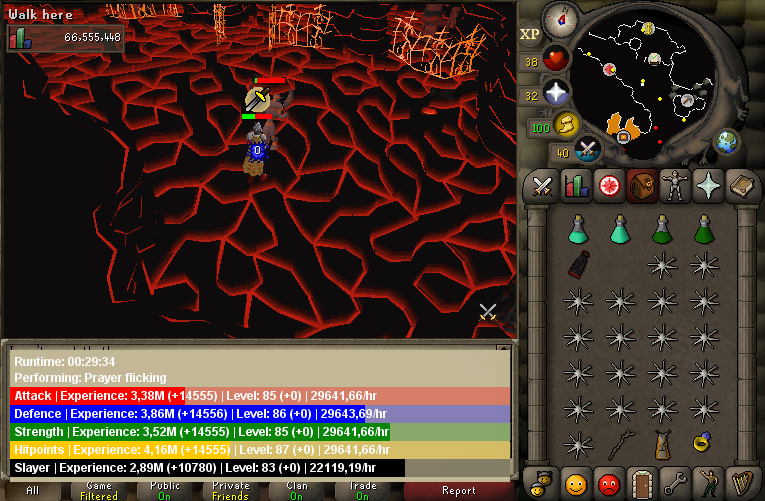 The 1-tick flicking is not 100% perfect so some prayer points will be lost, but with a bit of prayer bonus and only a few pray pots you can last a very long time. 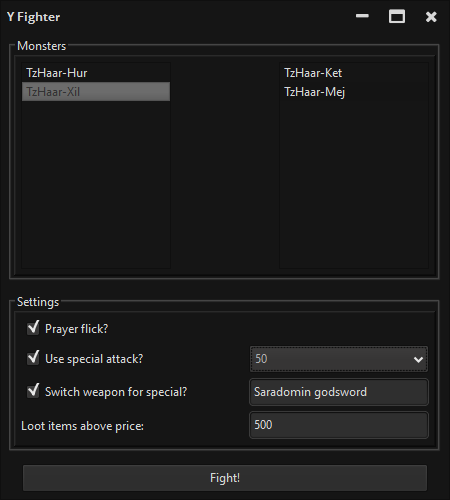 Use special attack: Toggling this setting will use the special attack at the specified percentage. Switch to weapon for special: Will equip the specified weapon before performing the special attack. Loot items above price: Will loot items above the given price. Will eat a piece of food if inventory is too full to loot the item. Setting this to zero means no looting. Looks great, cant wait to test this. @yasper thank u! do you have plans on adding banking support? I do plan to add bank support. I tried this script for 5 minutes, at which point my laptop caught fire. The CPU usage of rspeer went from ~30% to ~120% (using more than one CPU) when running this. How often are you looping? I noticed that the xp/hr updates extremely rapdily. This is me running the script. Have you tried running any other scripts? Painting runs on the render thread which is not related to how many times I'm looping, other paints should look just as smooth. Where are you running the script at? During these screenshots I was at Barbarian Village. Previous time was at the Cows in West Lumbridge. Are you prayer flicking? Also do you have discord? Would like to figure out what's going on here as it does not seem to be using a notable amount of CPU on my own computer. When I ran it to take this screenshot just now, it was staying at 250% CPU usage. May have found an issue with price lookups that could cause somewhat of a peak in CPU usage. Working on pushing a new update which hopefully resolves your issue. Hey, would it be possible to add a custom input to the GUI where you can enter item's you'd like to loot comma separated or something? Would be useful for stuff like untradeable drops (think ancient shard or totem piece in Kourend catacombs) or overriding coin value for specific items. Yeah good call, was also thinking I could send a notification to your task bar if the "slayer task complete" message shows up. Thoughts on that being an option? Script now detects the different types of crabs (think rock crabs, sand crabs and ammonite crabs) as monsters. Will walk around them to aggro them. 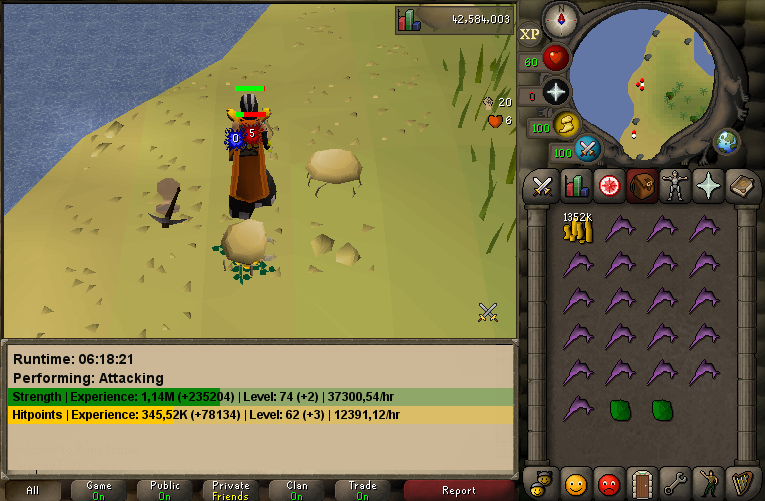 I will be attempting to add afk crab mode at ammonite and sand crabs. Thanks for the update & your work. It seems to occasionally miss drops. 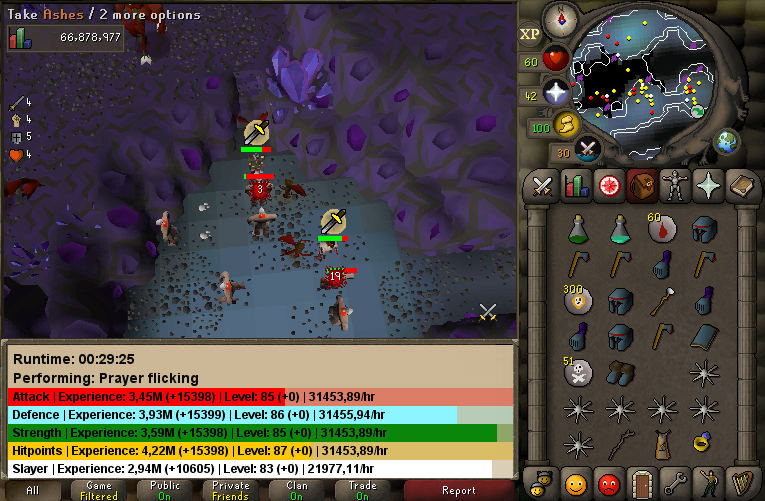 I've set it to loot anything over 2k but it's left a "Rune full helm" on the floor twice, but it picked up the chaos rune drops. Interesting, thanks for the report; do you happen to remember how far away the loot was? I've set it up not to pick anything up past 16 tiles.